One information that you will basically find on any sunscreen is that it will protect you from UVA and UVB. But what does that mean? UV stands for UltraViolet and all UV emitted by the sun are different wavelengths of radiation. Excessive exposure to UV radiation causes skin damage such as sunburn, wrinkles, premature aging, DNA damage, and even cancer. Ultraviolet radiation is part of the sun light’s spectrum. 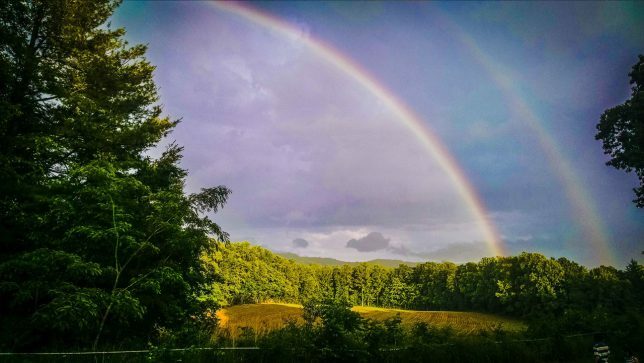 On either “side” of the rainbow (which is one of the rare occasions where nature shows us the sun light’s spectrum “for free”) there is ultraviolet and infrared light, which is not visible to the naked eye. There are three different forms of UV radiation, A, B, and C.
UVA radiation has long rays that easily penetrate the earth’s atmosphere and makes up around 95% of the UV light we are exposed to. UVA can penetrate deep into our skins second layer and can cause premature aging, wrinkles and skin cell damage and skin cancer. It is also strong enough to penetrate clouds and windows. UVB radiation has medium length rays that make up the remaining 5% of the radiation that penetrates the earth’s atmosphere. UVB causes sunburn, DNA damage, and cancer. UVC radiation is the shortest length of UV radiation. It cannot penetrate the earth’s atmosphere, which is lucky as it’s the most harmful form of UV. It is useful to note however that it is generated by some forms of welding instrument or mercury lamps. As you can see, protecting your (and your kids’) skin from exposure to UVA and UVB is vital to avoid skin damage. Skin damage is cumulative over our lifetime, so the more times the skin is overexposed and subject to damage, the more likely it is that we could suffer from severe consequences such as cancer. Which is why it’s so important to protect babies and children. Please bear that in mind, especially when traveling and/or you’re planning to visit beaches, where large areas of skin is exposed to the sun. Babies younger than six months of age have very little melanin in their skin. Melanin helps to prevent skin damage caused by the sun, so babies are particularly susceptible. The Skin Foundation recommends using sun-shades, hats and lightweight clothing that completely covers them. But covering up or sheltering from the sun isn’t just for babies, it is the safest form or sun protection for all ages. From six month of age, you can also use a broad-spectrum (UVA and UVB) sunscreen with a high SPF (sun protection factor) of between 15 and 50. Scientific studies have shown that sunscreens with higher SPF factors do not provide better protection. SPF is only a guide as to how long the sunscreen can protect the skin. SPF 15 protects exposure by 93% whereas SPF 30 is around 97%. No sunscreen can block 100% of the sun’s UV rays even SPF 100. SPF 15 prevents your skin from burning about 15 times longer than using no sun protection. Regardless of SPF factor, all sunscreens should be re-applied every 2 hours for optimum protection. Chemical sunscreens, these are absorbed by the skin and can penetrate the deep skin layers and enter the bloodstream. These sunscreens work by absorbing the sun’s rays and diffusing them. Absorbent sunscreens contain chemical substances such as Avobenzone, Octocrylene or Homosalate. All sunscreens protect against the burning effect of UVB radiation, but far fewer also work against UVA. As you can see, only a few ingredients cover both UVA and UVB radiation. There has been much discussion in the press and on the internet about the safety of sunscreen, not only to us but also to sea life and barrier reefs. Let’s take a closer look at which are the safest sunscreens for kids. Unfortunately, the chemical interactions and the fact that sunlight breaks down the chemical structure within chemical sunscreens means that they can cause safety concerns. Avobenzone is the only full spectrum UVA and UVB chemical protecting chemical used in most sunscreens. The problem with all chemical sunscreens is that they can interact with each other and the sunlight itself breaks down the sunscreen chemicals in the skin. This double effect can cause the absorbed chemicals to cause hormone alteration that can be linked to cancer and other diseases. Oxybenzone enhances the absorption of other chemicals into the deep skin layers. It can cause allergic reactions and hormone disruption. Octinoxate, a very common sunscreen ingredient like oxybenzone is an absorption enhancing ingredient. It causes hormone disruptions not only in humans but also in other creatures. It has been linked to premature aging and produces free radicals in skin cells. Retinyl Palmitate, this is an antioxidant also known as Vitamin A Palmitate. It is supposed to help increase the anti-aging effect of the sunscreen but when combined with palm or coconut oils, which are also common in sunscreen the retinol breaks down and produces free radicals that cause DNA damage and can lead to cancer. It is thought that retinyl palmitate increases the speed at which malignant cells develop. Steer well clear! Homosalate helps the sunscreen to absorb the UVB radiation. As it breaks down, it accumulates more rapidly than the body can remove it, becoming toxic and disrupt hormones. 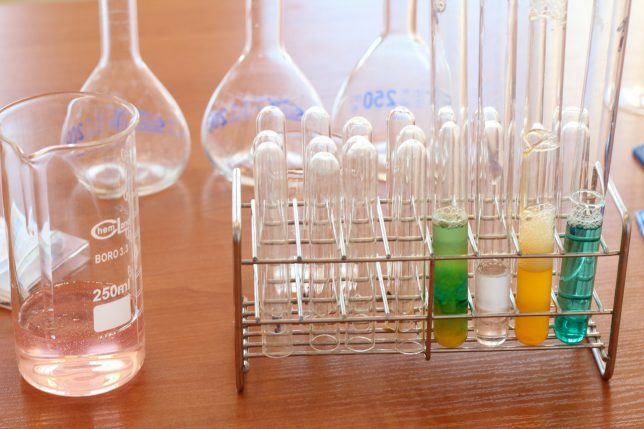 Oxtocrylene is a readily absorbed chemical that mutates cells and causes cell damage. It quickly accumulates in the body and is toxic to the environment. Parabens come in various forms: ethylparaben, butylparaben, methylparaben, propylparaben and so on. They can cause allergic reactions, hormone disruption, developmental and reproductive problems. There is also a link between parabens and breast cancer. Mexoryl SX provides excellent protection against UVA rays. It has some concerns for an allergic reaction and possible carcinogenic links but has been found not to be absorbed into the skins deeper layers, so is safer than many other ingredients. Titanium Dioxide. 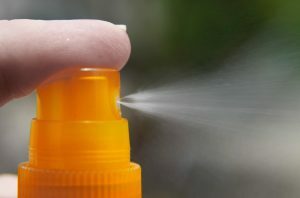 Although titanium dioxide isn’t an absorbing chemical ingredient but is commonly found in barrier type sunscreens, it has been found to cause genetic damage in mice. This is thought to be due to the trend in nanoparticles, where the titanium dioxide is ground into such small particles, that it can be absorbed by the skin. Zinc Oxide is thought to be the safest form of protection. It covers both UVA and UVB rays and is not absorbed into the body even when ground into nanoparticles. 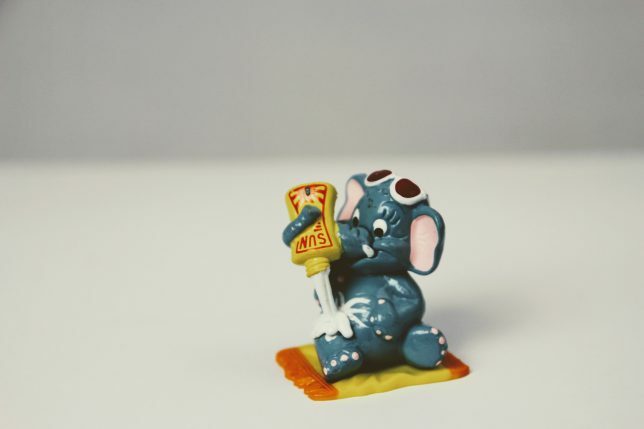 Nanoparticles are popular in sunscreens today as it helps to prevent the white sunblock effect that was so often seen in the 1980’s (think of lifeguards’ noses). Sprays, Sticks, Lotions or Creams? Sprays and sticks are popular because they are easily applied, but research has shown their application usually achieves poor coverage and not enough quantity to achieve full effectiveness. Lotions are better than sprays or sticks, but again achieving a thick enough layer can be difficult. Water resistant creams have been shown to provide by far the best form of coverage, but care needs to be taken as they can mark clothing. Sprays also cause other concerns in that they are easily inhaled during application. Many people believe that over application of sunscreen can prevent the body from producing enough vitamin D. Vitamin D is vital for a healthy, strong immune system, bone health and much more. However, there are other, safer ways of maintaining adequate levels of vitamin D other than by sun exposure. Many people don’t realize that excessive sun exposure actually breaks down vitamin D, so getting the optimum amount can be very tricky. Better alternatives are through diet. The recommended dietary allowance (RDA) of Vitamin D for children under one year of age is 400IU (International Units), those aged between 1 and 70 require 600 IU per day, and 800 IU for people over 70. Cod liver oil, supplements, and fortified foods are the best sources of vitamin D.
There are ever more “safe” sunscreens coming onto the market, but here are two of my favorites. This reef friendly zinc oxide-based broad-spectrum sunscreen contains no harmful ingredients from our list. It is manufactured in the USA, is highly water-resistant, easy to use and comes in a 3oz or 6oz size. Because of the nature of this natural sunscreen the ingredients can sometimes separate, so shake vigorously before use. There is a best before date on all bottles. Thinksport is the version for older children and adults. Zinc Oxide (non-nano) 20%, purified water, aloe barbadensis leaf juice, capric caprylic triglycerides, sorbitan stearate (coconut based), pine wood resin, vegetable glycerin, cetyl dimethicone, hydrogenated castor oil, magnesium sulfate (Epsom salt), sunflower oil, jojoba oil, ascorbic acid (vitamin C), tocopherols (vitamin E), olive oil, raspberry seed oil, cranberry seed oil, hyaluronic acid (vegetable base), glucose & glucose oxidase, lactoperoxidase, papaya. Another reef friendly zinc oxide based broad-spectrum sunscreen with 80-minute water resistance. It has a lightweight non-greasy formula with non-nano zinc oxide. As with the Thinkbaby sunscreen, it can separate in the tube and requires a really good shake. There is an adult or older kids version available too. Zinc Oxide (non-nano) 12%, aloe barbadensis leaf juice, bentonite, calendula flower oil, caprylhydroxamic acid, caprylyl glycol, car-thamus tinctorius (Safflower seed oil), cellulose gum, Cetearyl alcohol, cetyl alcohol, Chamomilla Recutita (Chamomile) flower extract, coco-glucoside, glycerin, Helianthus annuus (sunflower oil), heptyl undecylenate, jojoba esters, Mauritia flexuosa (buriti) fruit oil, methyl dihydro abietate, microcrystalline cellulose, octyldodecyl oleate, Olea europaea (olive) oil, water. Many of the sunscreens that claim to be pure and natural still contain PEG’s, phenoxyethanol and other chemicals that have been shown to be harmful. For this reason, check the ingredients carefully before use. It’s impossible to keep active kids out of the sun but covering up or staying in the shade are the best methods of protection. Finally, the ewg.org website can provide lots of information on the safest sunscreens and their ingredients. I don’t claim to be an expert on this subject but have taken my information from sources that I believe to be reputable and reliable, as well as from my own experience. I am olive / medium complexion. I can honestly say that I rarely wear sunscreen and have never been sunburned in my entire life. My son however is 19 months old, he is the same skin color as me but I realize his is more delicate. I like to use Zinc Oxide based sunscreens on him because like you say, its the safest form of protection. The tricky part is knowing how long the sunscreen takes to absorb into the body.. Sometimes I will slather on sunscreen on my son and when I put his swimming shorts on, the sunscreen wipes off on them! So how long does it take to absorb in the skin? thanks for a great and informative article and one I have learnt from. It’s nice to have so done explain in English what different types of radiation waves. It’s articles like this that helps to really appreciate the science involved in protecting the human skin. Nano technology is growing at a fast rate in many industries and zinc oxide proves to be a good protective barrier for many things as titanium dioxide is. Thanks for this article, it will help enlighten the reader on the damage the sun will do if we don’t respect it. This is really informative post on skin protection for babies and kids from sunlight. As a father to two boys – 6 year old and 2 year old, I find the information extremely useful. And looking at the harm caused by UV rays, it is our responsibility as parents to ensure that our children’s are safe by using the best sunscreen preparations out there. I never knew that there are three types of UV radiation. I have bookmarked this page for future reference. I really do not think that you missed out something. 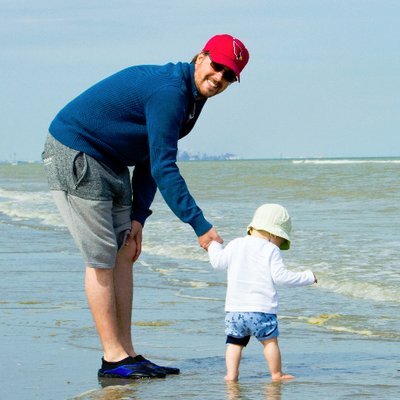 Thanks for doing extensive research on reputable sources to bring to awareness the importance of sunscreen for our children. When I grew up, my mom was not particularly strict with us that we should put on sunscreen. I remember when I turned around 12 years old, I got a few severe sunburns, and I started to use sunscreen after that, because I did not like to get a sunburn. I do put on full-cover clothing for my sons when they get out into the sun. I live in an area where we have on average 8-9 hours of sun daily throughout the year, so getting sunburned is very common, so I have taken quite some precautions. I have a question for you. Not long ago did one respected doctor mention to me that skin cancer in adults is usually to trace back to severe sunburns in childhood. By that he meant that skin care is the most important during those first years of life. Did you know that? Or do you agree with that? If that is really true, the more reason we have to put a great sunscreen on our children all the time. Thank you so much for reading my article and sharing your thoughts! I really appreciate it.